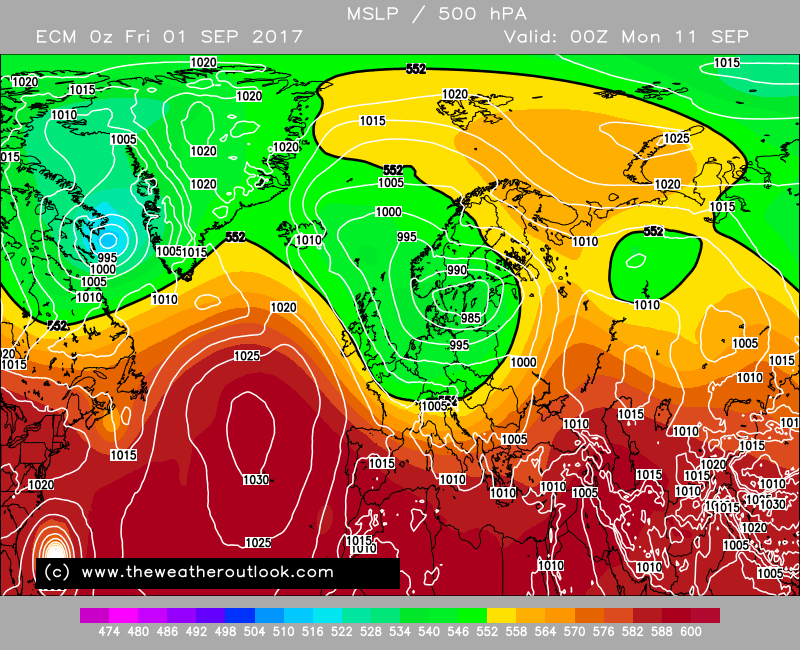 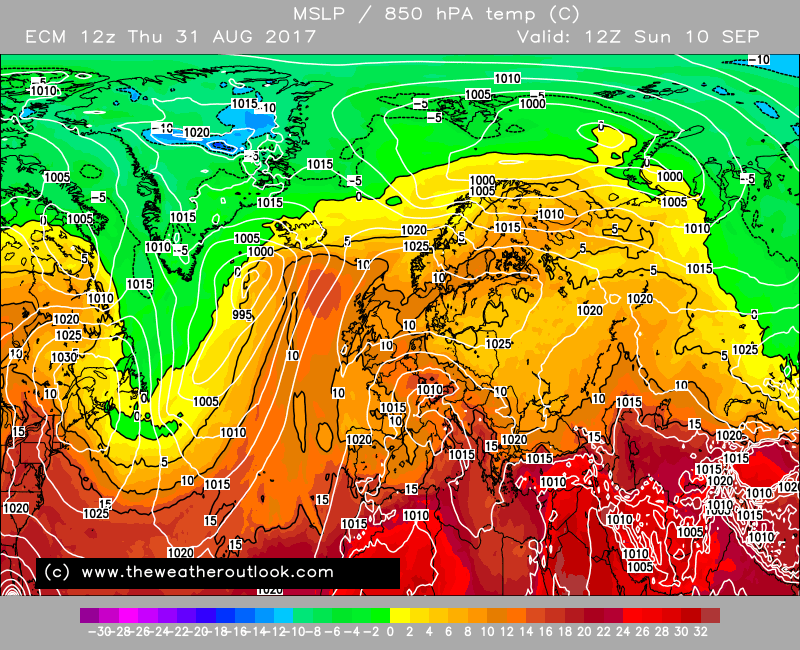 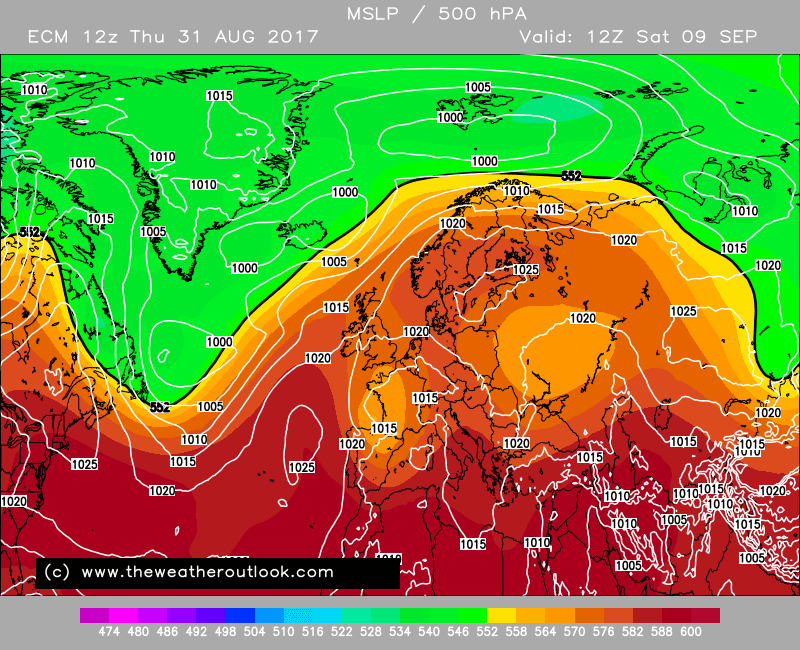 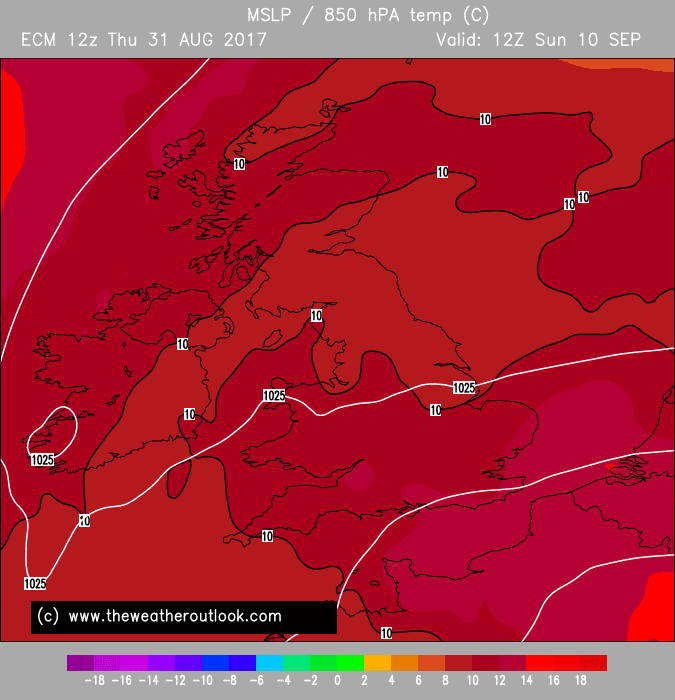 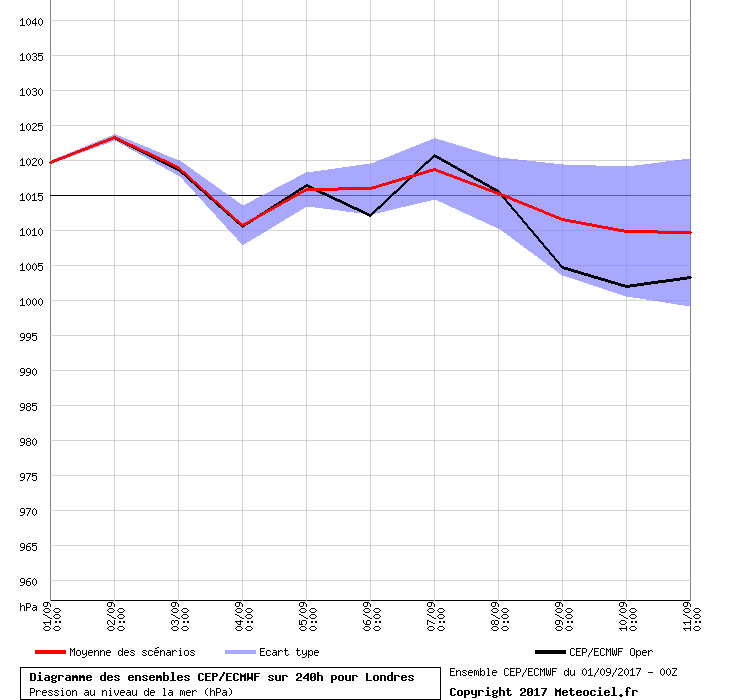 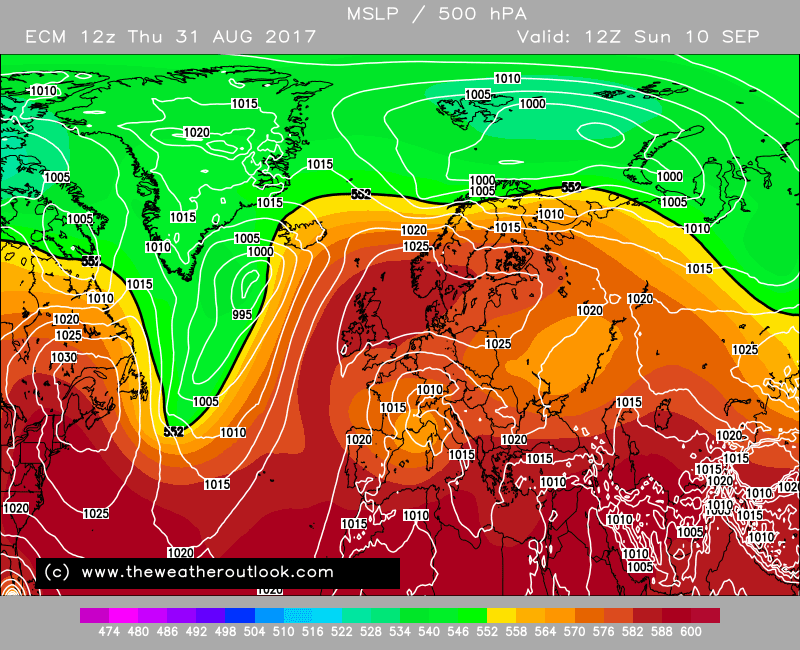 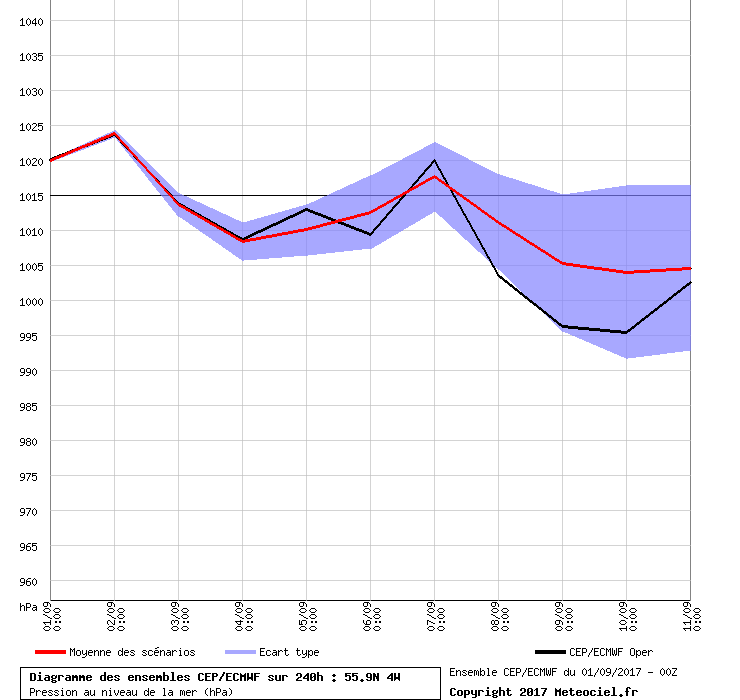 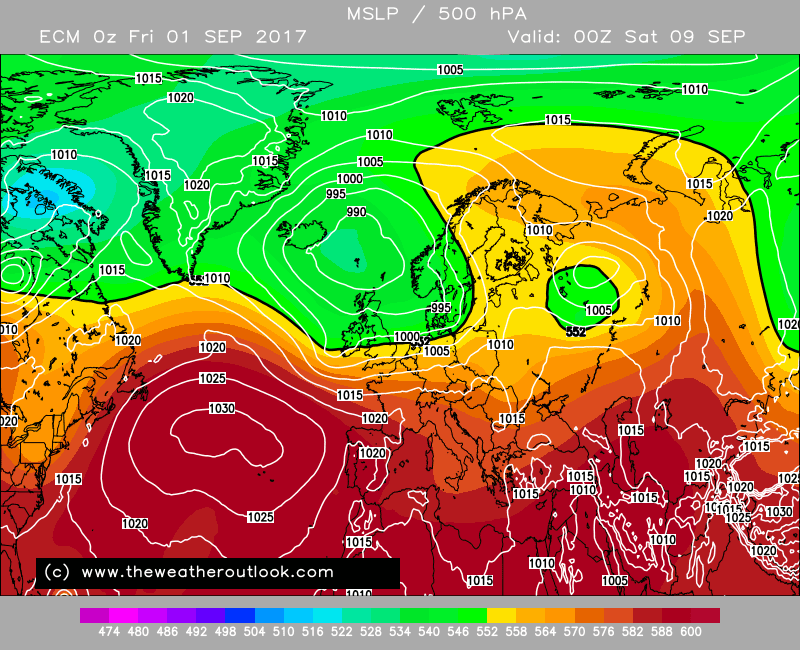 Although today's the last day of the meteorological summer, nobody told the Ecm 12z because as with the 00z it shows a summery end to the run with a large blocking high..let's hope there is plenty more settled and warm weather to look forward to during early autumn..especially for those who didn't have a summer this year in Scotland!.  Edited August 31, 2017 by Frosty. 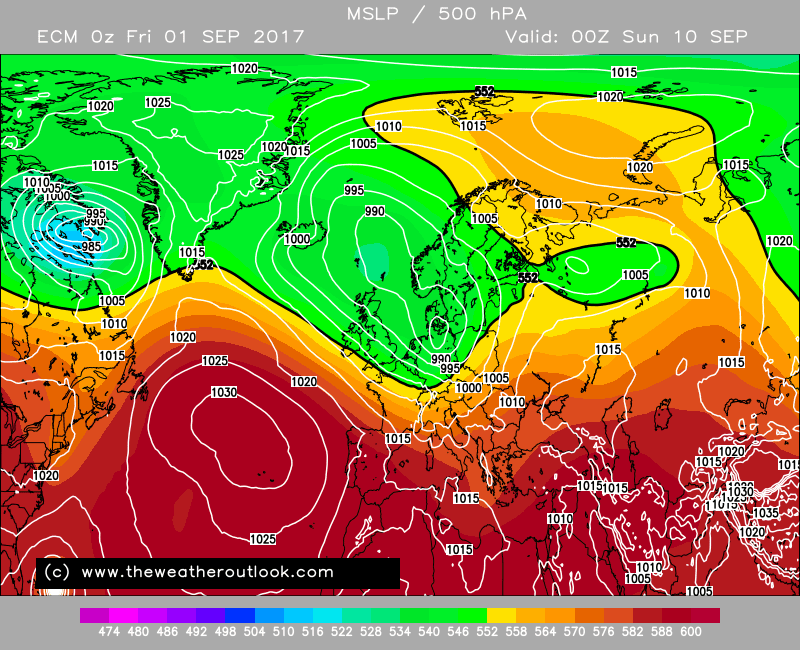 anomalies suggest a mean upper trough over the uk with a strong westerly upper flow, so any ridging will be temporary..
Quite a change from the Ecm this morning with a full blown descent into autumnal weather from later next week onwards.